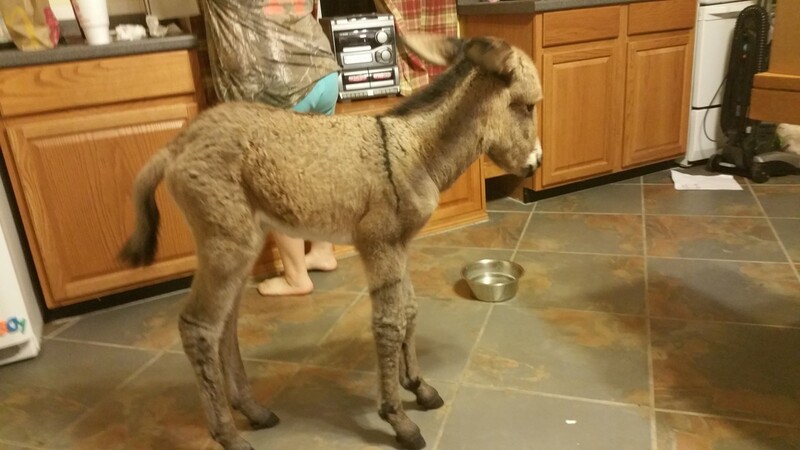 We have three burro’s or donkeys and all were adopted from the BLM. 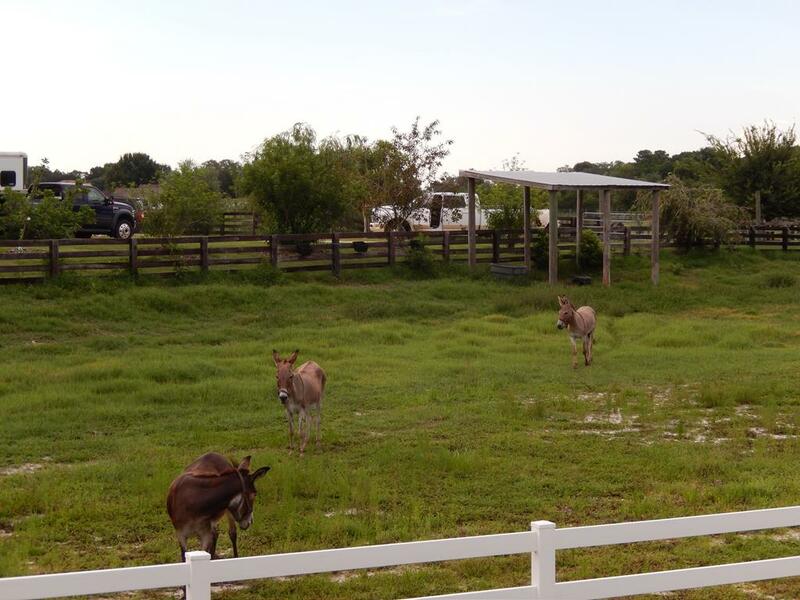 We purchased our donkeys to protect our baby cows and horses. 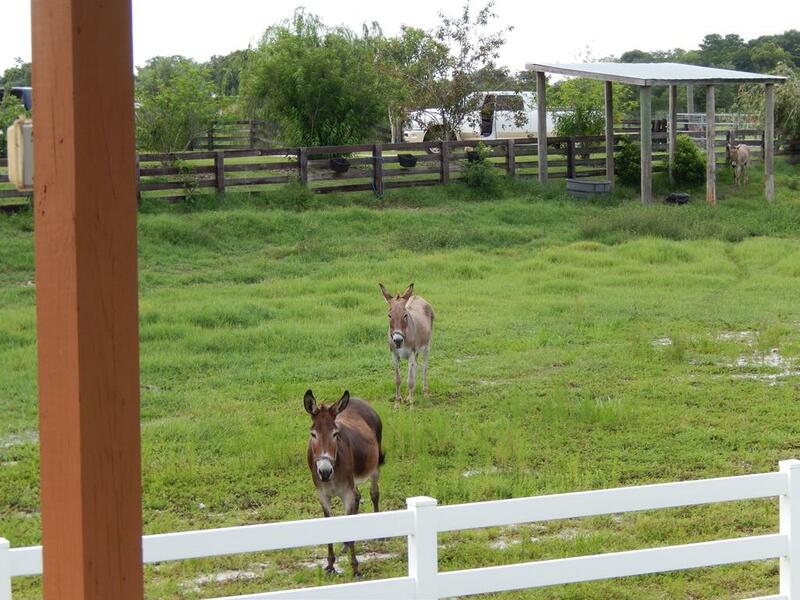 Donkeys are very good protection as they keep predators out of the pastures. 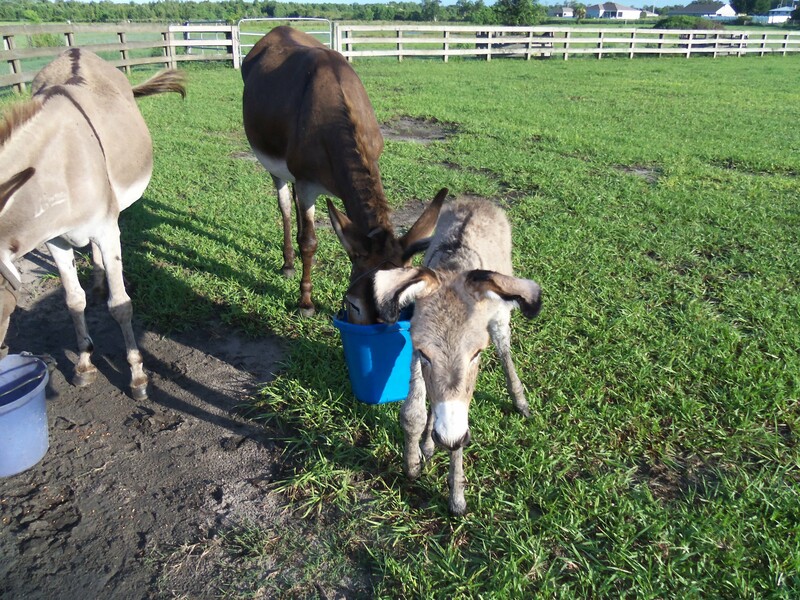 Donkeys will let you know if someone is coming by braying when they hear someone, they have very large ears which allows them to hear sounds from very far away. 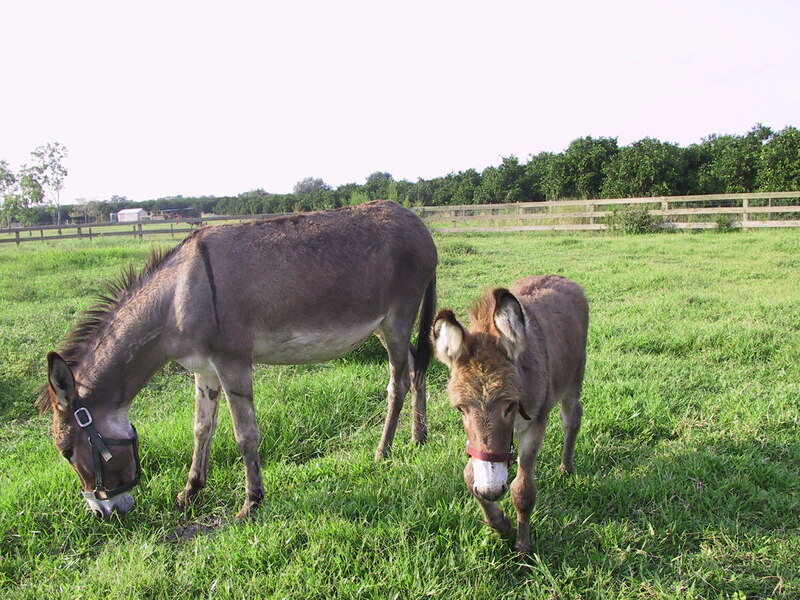 Donkeys do not attack with their back feet, but with their front feet. They bounce up and down to stomp their enemy. 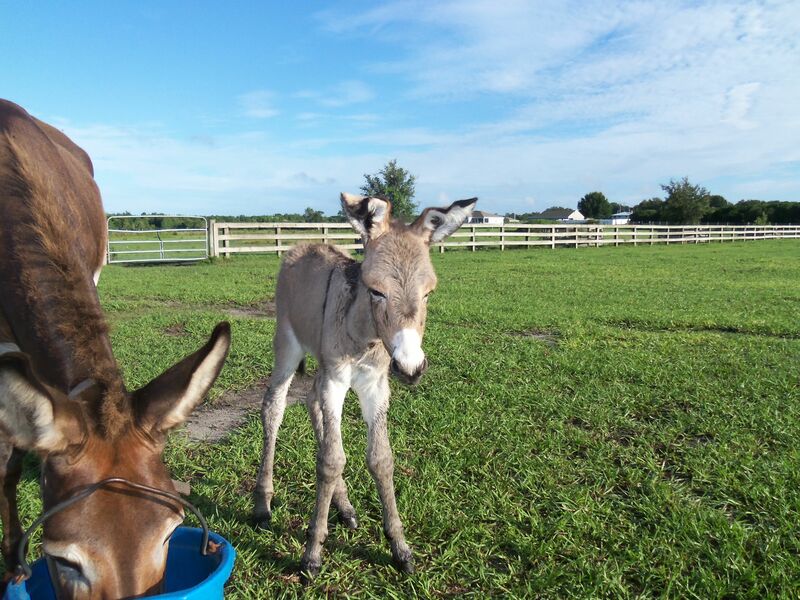 Our Jack (stallion) is Christopher Robin, his mom was captured in Mohave County, Arizona and he was born in September 2001, he is gray with a cross on his back and stripped legs. we adopted him when he was only a month old. 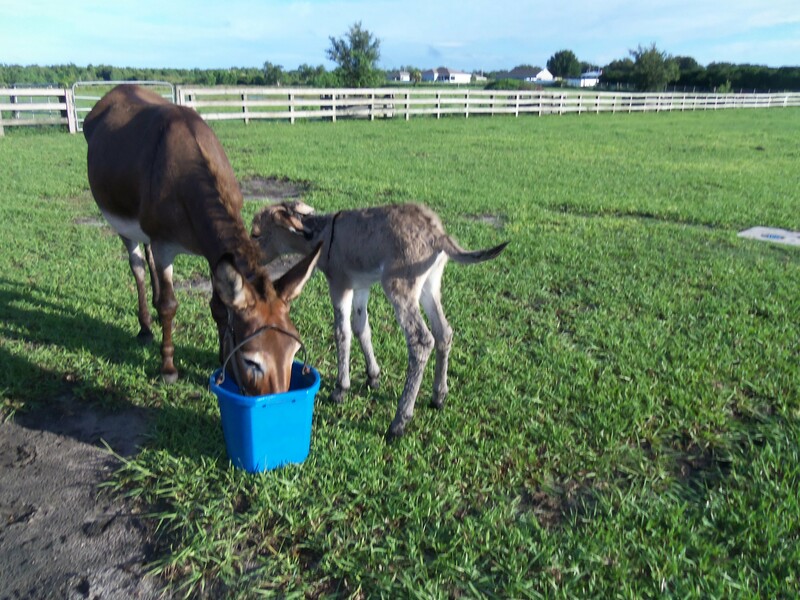 He is a very sweet guy and the dad to all the babies we sell. 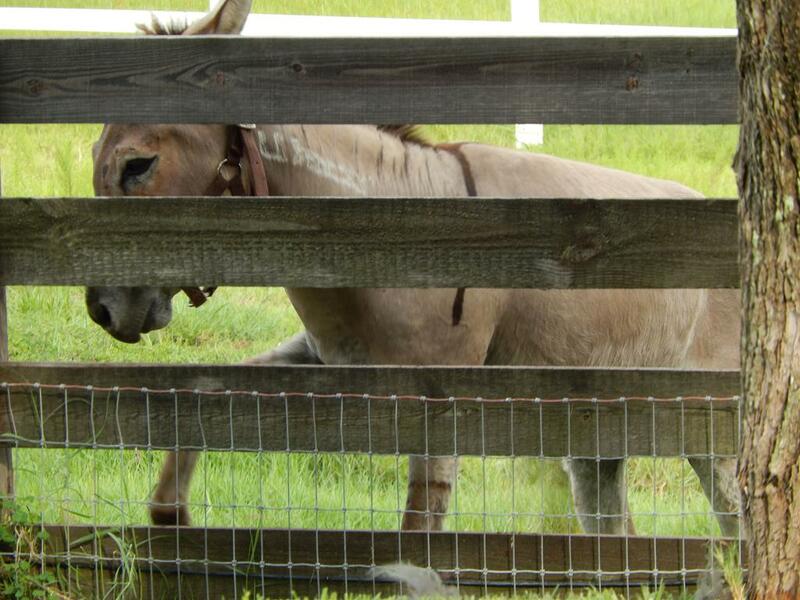 Our oldest Jenny (mare) is Eeyore, she was foaled in 1994, she was captured at San Bernardino county in California, she is gray with the cross on her back and stripped legs. She was adopted when she was six years old and was pregnant when we adopted her, had her baby within a month of being here. She is a very sweet girl. 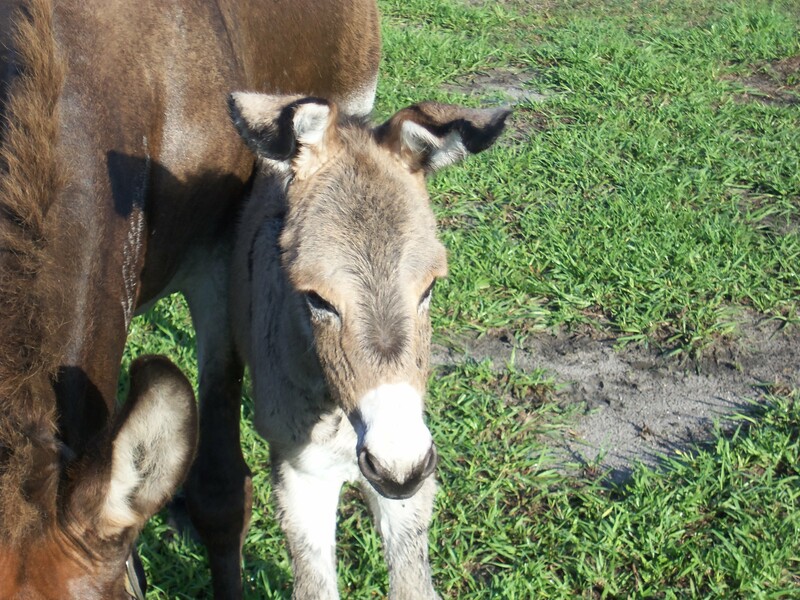 Ginger who foaled in 2001 and was captured in Pershing county, Nevada is our brown burro, we adopted her when she was five years old, she came from Nevada. 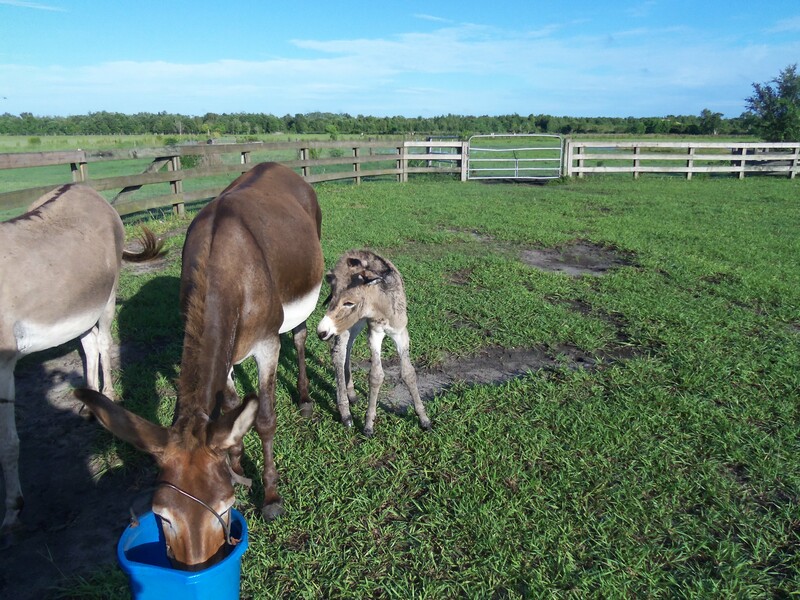 She is the tallest of my burro’s and is always the first to come and see you. 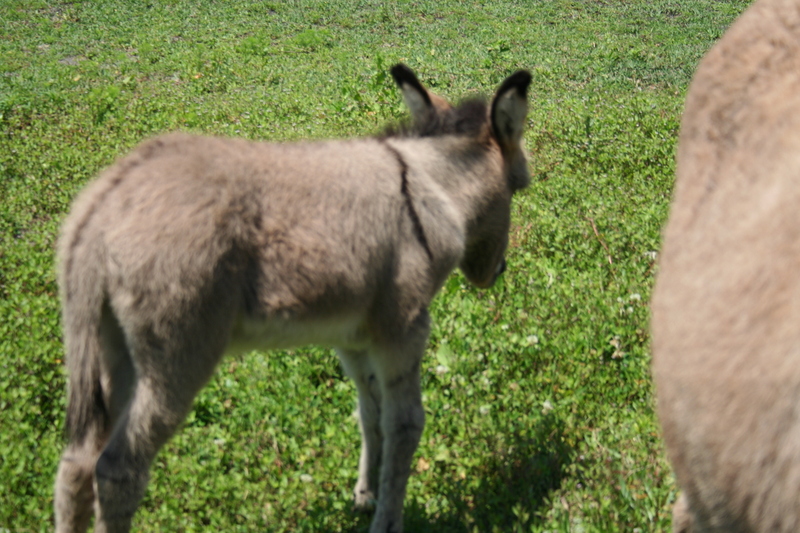 Have you ever heard the story of why donkeys have a cross on their back? 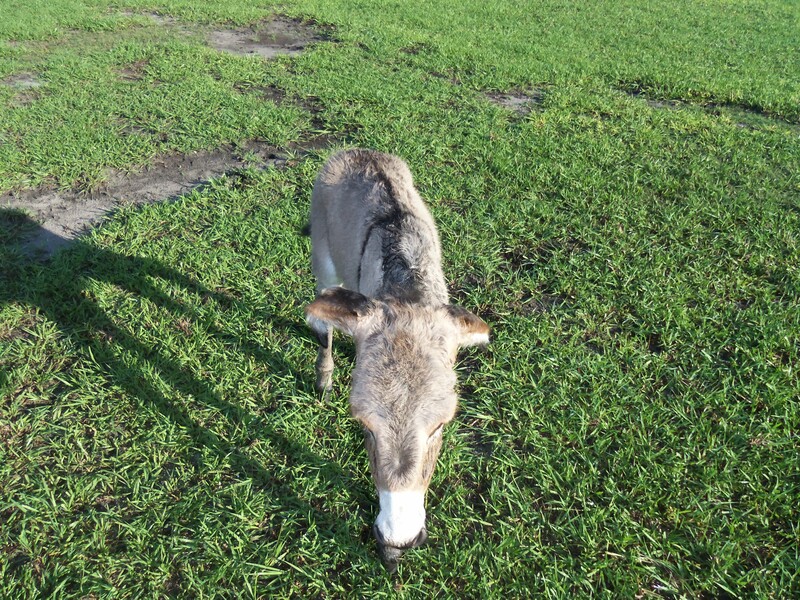 The story goes like this, back in days before Jesus was born the donkeys were all gray, with no stripe. When the donkey was allowed the privilege of carrying Jesus into Jerusalem the donkeys from then on would always carry the cross on their back to symbolized the death and resurrection of Christ, and stripes their legs to represent the stripes on Christ back when he was flogged.